Don’t let yourself confuse by the name of buckwheat.. 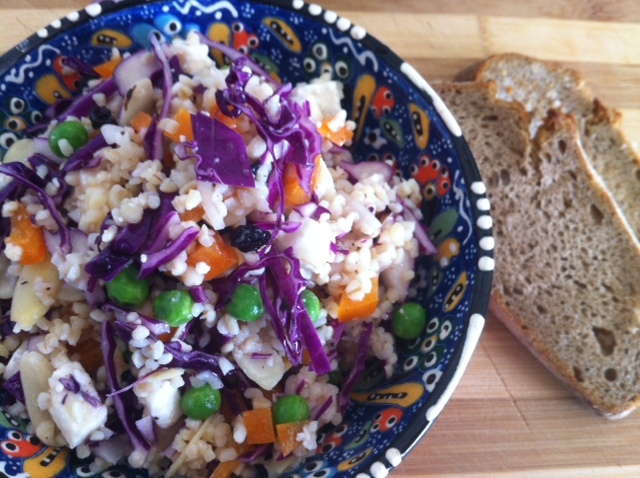 It doesn’t have anything to do with ordinary wheat and is even gluten free and a great alternative to the usual couscous or pasta salad which are most popular for summer salads for a picnic or a side for a BBQ! In addition to that it’s also a great source of antioxidants, iron and magnesium – so not only yummy but also worth a try from a healthy point of view. Instead of the ordinary way to cook it my and my friend Michelle have recently been experimenting with soaking grains. It gives the buckwheat a nicer bite and is super easy to prepare e.g. soak it in the morning when you want to use it for lunch or dinner. By the time you need it it’s gonna be nice and soft, cooled to a perfect temperature and ready for further use. You can now mix it with any kind of vegetables, cheeses, nuts and fruit and give it various flavors to your taste. My way to prepare it was a very simple and yet delicious one, also it’s very fresh and therefore perfect for a hot summer day. To soak the buckwheat first rinse it and then put it in a bowl and cover with water, put a plate on top and let it stand for a couple of hours. For the salad drain the rest of the water and mix buckwheat with olive oil, lemon juice, salt and pepper. Break walnut halves into pieces. 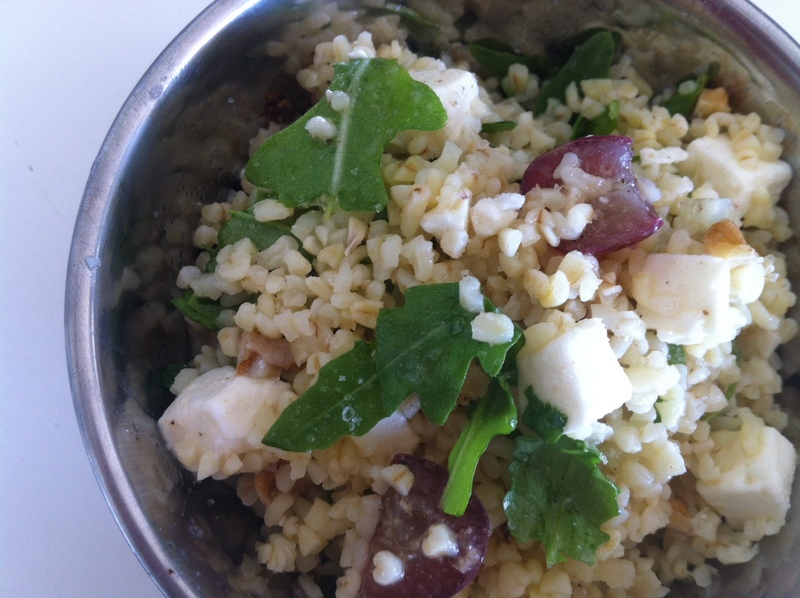 Chop grapes and feta, tear basil leaves and add them to the buckwheat. Toss gently.